Plant-based Recipes – Coming Soon! Are you one of the many mothers who feel overwhelmed by the Sonlight curriculum and don’t know where or even how to start? As we begin the Grades 2-8 lessons, I thought I would share with you how we go about it. I’ve tried my best to keep it simple and I’ve broken it up into manageable bite-size chunks. But please please do note: obviously we are not perfect and obviously we are not the pattern! All that we hope is that somehow we can be an encouragement to others and inspire them to begin this beautiful curriculum and to also share their stories! Let’s just make sure we are all on the same page. 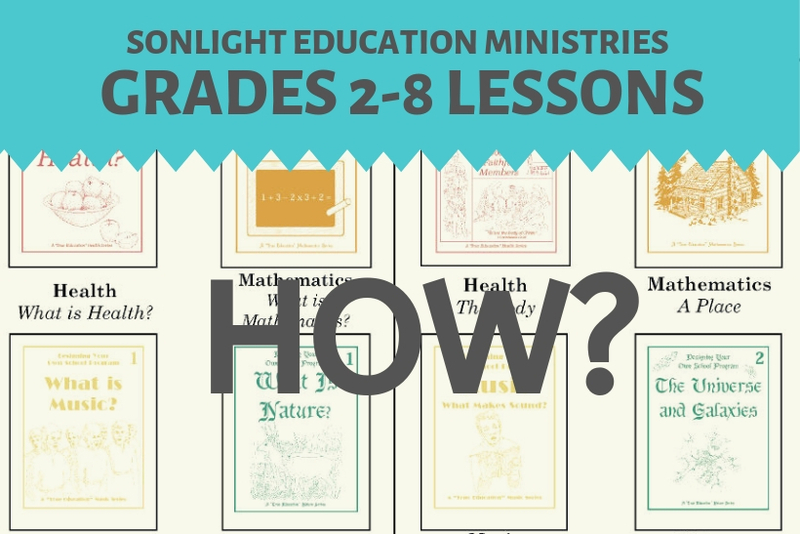 If you are not familiar with the Sonlight Education Ministries curriculum, please take a look at this post which introduces the curriculum, gives an outline of how the curriculum fits together and also introduces the Family Bible Lessons. The post that you are reading right now is the first of many which will walk you through getting started with the Grades 2 – Grades 8 Lessons (ie. ages 9 – 14 years). No matter what the age of your child is (between 9-14 years), Sonlight recommends beginning with Lesson 1 and working through the Lessons sequentially, step by step. The Lessons are designed to accommodate all ages (ie. one can go into more advanced detail with older children, or keep the lesson simple for younger children). Also, please don’t forget to refer to Sonlight’s Roadmap. This booklet gives an outline of the entire curriculum, sample schedules, teaching tips and an overview of all the lessons and how they fit together. The Grades 2-8 Lessons incorporate the following subjects: Bible, Health, Nature, Maths, Music, Language, Speech and History/Geography/Prophecy. Sonlight recommends supplementing with a first language curriculum. Even though Maths is included as a subject, many families supplement with a maths curriculum as well. They are both found in the Sonlight Google Drive 2-8 Grade Lessons folder. We will take a more in depth look at this folder and what’s in it at a later stage, but for now let’s quickly take a look at these two files. 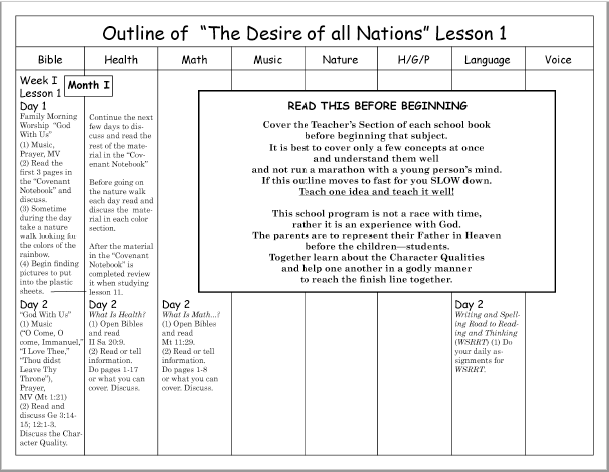 This is simply a sample outline or schedule suggesting how you should begin the Grade 2-8 lessons. Download this file, print it or read it online, and familiarize yourself with it’s contents. In a nutshell, this is an introduction for the parent and for the student to the various subjects that you will be studying in the Grades 2-8 Lessons. Basically it encourages the student to make a covenant or commitment to God to try to be more like Him every day – something we all should be doing! It is a short booklet of about 20 pages. 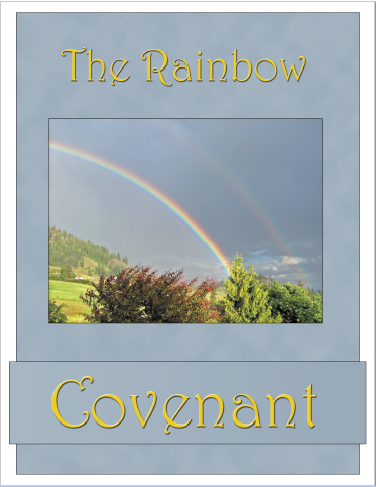 You would go through this Rainbow Covenant booklet with your child(ren) before beginning Lesson 1’s various subjects. We went through the Rainbow Covenant slowly and thoroughly. You may have noticed in the Outline for Lesson 1 that Sonlight recommends going through the first 3 pages of the Rainbow Covenant in one day – we only did one page a day. I felt that it was foundational and I didn’t want to rush through it. I wanted my children to fully understand the concept of making a covenant with the Lord and the reasons why we would be studying each subject. I also wanted to make it a little bit more memorable with some fun ‘rainbow making’ activities added in. I will be sharing in the days to come, some of the highlights of our Rainbow Covenant lessons. 🙂 As I have said before, we are not the pattern and I encourage other families who want to use this curriculum, to find a way that works for you and your family. Use the Rainbow Covenant for Morning Family Worship until you’ve reached page 10 (we try to do one page a day). Do not start any of your academic subjects until you have reached page 3 (page 3 explains each academic subject). After page 10 in the Rainbow Covenant, come the individual colours. Starting with white, once a week (perhaps on a Monday), go through one of the colour pages. Find pictures of that specific colour (eg. white) in nature to stick in your book and go for a nature walk looking for things of that colour. The following week do the next colour ‘Red’, then the next week ‘Orange’ etc. until you have been through all the colours. That’s it! Now you know everything you need to know to get you started with the Rainbow Covenant! I'm a Mom. Now what? Failing as a Parent? Get right with God FIRST. Establishing Routine Part 1: Is it really necessary? Hey! I'm Melinda. Thanks for stopping by! Suggestions for a post or questions? Comment below!